. كما يقدم شقق مانترا 100 إكسبشن الكثير من الخدمات لإغناء رحلتك في ملبورن. تتضمن الميزات الرئيسية في هذا الفندق: مكتب الاستقبال على مدار الساعة, تسجيل وصول/خروج سريع, تخزين الأمتعة, صف السيارات, التوصيل من وإلى المطار. تنعكس أجواء شقق مانترا 100 إكسبشن في غرف الضيوف.تلفزيون بشاشة مسطحة, غرفة معيشة منفصلة, غرف لغير المدخنين, مكيف هواء, تدفئة هي بعض الميزات الموجود في العديد من الغرف. يمكنك الاستمتاع بالأجواء المريحة التي تقدمها تدليك طوال النهار. يشكل شقق مانترا 100 إكسبشن بخدماته الراقية وموقعه الممتاز، قاعدة مثالية للاستمتاع بإقامتك في ملبورن. يتوافر مكان قريب لانتظار السيارات مقابل رسم إضافي ويخضع للتوافر. يُرجى ملاحظة أنه في حالة حجز غرفة بنظام باقة غرفة إيكو ريت (Eco Rate)، فإن هذه الباقات مصممة لتقليل التأثير البيئي من خلال تقديم خدمة التدبير المنزلي أسبوعيًا فقط. We were on the 10th floor - no elevator up to 10th so the steps were an exciting climb! The rain on the roof was a nice addition too.. however it would be good if they put those springs on the doors as the two sets of neighbours that let their doors slam behind them at 5am and then 6am made the whole floor slam.. one of those things that could make the noise impact lessen! Smack in the CBD area. Super friendly staff provided us with maps, useful hints and a great service! Only negative: the car park is in cooperation with wilson which is the home of some homeless people —> certain stinge & human waste in the car park, car was safe the whole time though! Would stay there again! Large living area was nice. Two decent bedrooms. Pretty small bathroom. Appreciated that there was decent milk in the fridge (and two little cartons, not just one! ), not those little single tiny things you usually get. It's good they offer parking, but it's in the street adjacent - bit of a hassle lugging your stuff to/from. It was okay checking-in, the 5min parking out the front was free. But it was occupied by I think construction people on check-out. Great location to the comedy theatre. It's very convenient to every single place we want to go. The staff there very helpful and also the apartment very clean. But only the room which have window is very cold even though didn't open the window. I had a pleasant stay at the Mantra 100 made even more pleasant by the staff particularly Madusha who catered for my requests with Agoda and on arrival there were no problems. The room was what i asked for due to my height i requested a room with a walk in shower, i also requested a quite room on a high level. The room was very spacious, i suggest to any traveller visiting a Mantra join as a member prior to attending and you can receive little upgrades as some premises do not automatically give you wifi such as the Mantra 100 Melbourne, however this was remedied by joining Mantra club free of charge, where you also receive an extra couple of hours late check out if requested. Madusha always had a smile on his face and always willing to assist as i noticed how he treated other guests, great customer service. The Apartment was definitely worth what i paid for. I will be visiting again in the near future Thanks for the hospitality Mantra and Madusha. 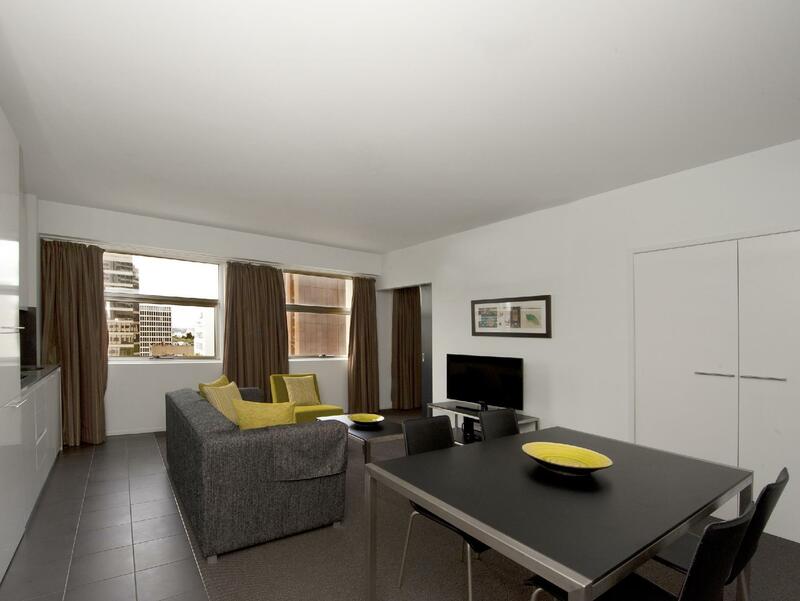 Spacious 2 bedroom apartment in the CBD area yet located on a quiet street. Clean accommodation with washer/dryer and good apartment amenities. Only bugbear was no WIFI available at all, fortunately we had bought a data plan SIM card from the airport. Would stay again for its good value & location. Suitable for business travelers and family with older children. I was traveling with young child and we found out that the furnitures are mainly with sharp edges so we have to block those edges and pay extra attention to him. Overall the location and comfortabilty of the hotel is good. I didn't pay that high for my booking. But the service I received is highly satisfying. The room was really nice. And the staffs were nice too. I don't have much to comment though. Maybe if the sofa bed is easier to fold, and if there's free wifi, it would be perfect. The Location of the hotel is very good, really close to the shops and walking distance to parliament house and cathedral. We ordered 1 unit that consists of 2 rooms plus 1 extra bed. evidently the bathroom is only 1. Overall the hotel is great unless the dusty carpet. I stayed in a 1 bedroom apartment and it was large and spacious and had good amenities. The bathroom was modern with plenty of space. Easily located to get a train from Parliament station or tram from Collins St. Within walking distance to cafes, restaurants and bars as well as boutique shops. The Location to go to AAMII park was very good and the apartment had plenty of space. Value for money!!! Dear Jane, Thank you for submitting a review. We are glad you enjoyed our spacious apartments and also took full advantage of our central location for your your event at AMMI park. Again thank you for your review and we look forward to welcoming you back. Kind regards Mantra 100 Exhibition Team. If hotel can arrange shuttle bus to airport that will be great!! 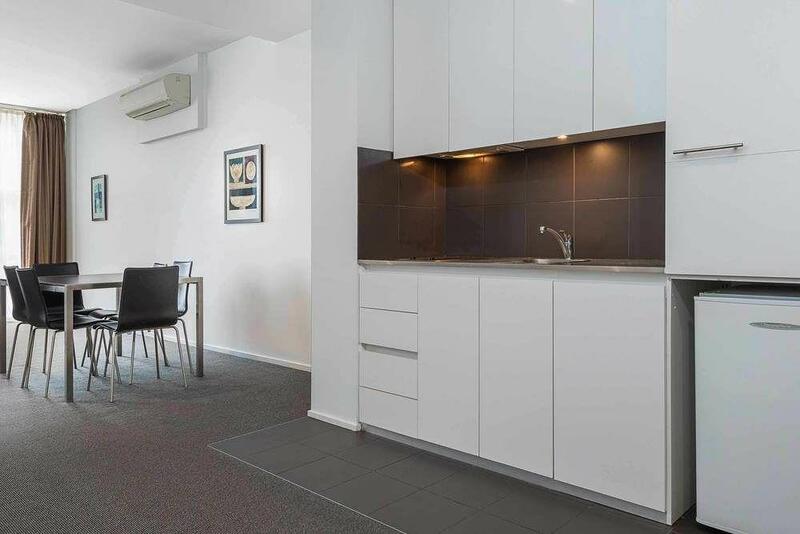 Good location within the CBD and free tram zone with close proximity to the places we wanted to visit. Very helpful staff. Our 2-bedroom apartment was well equipped but not quite sufficient for 5 people: the "extra" bed was not a proper bed but a sofa bed (so we could not use the sofa during our stay); there was only 1 bathroom. Overall, a pleasant stay and good value for money. Managed to chance on this apartment at last minute when looking for a place to stay, and I would say it a pretty good spot on choice. 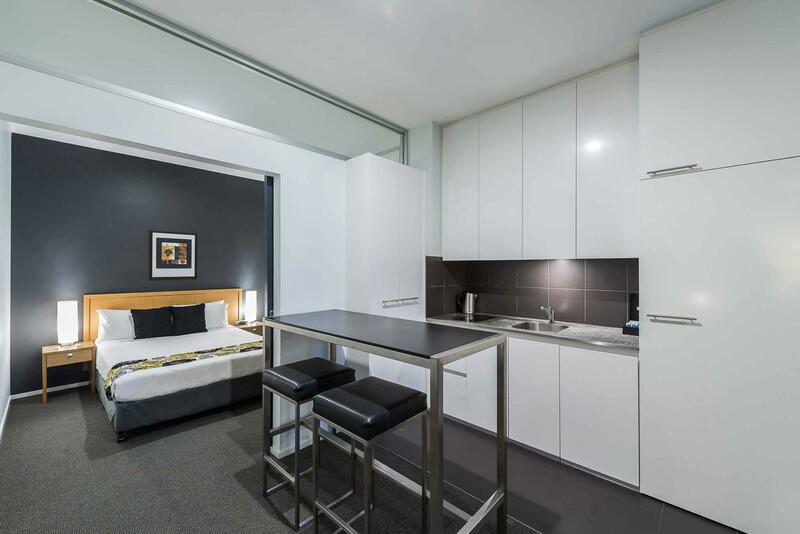 Located right in the middle of Melbourne's CBD area, the hotel is of walkable distance to possibly anything and everything. We booked a one-bedroom apartment, which had a living room (with sofa bed) and bedroom - was generously spacious that includes a kitchenette and even washing & dryer machine! The few downsides I would comment on was that our room was located on 10th floor, which you need to get to by climbing the stairs at 9th floor, and that's not very convenient if you have a handful of baggage. Also, there isn't complimentary Wi-Fi available, chargeable at AUD15 per day (limited to 3gb). The air conditioning was leaking when we checked in to the room, but was swiftly cleaned once we reported the issue. Overall, we had a pretty good stay here. I would love to stay here (or the other Mantra hotels) again for my next stay, but would love if they'd consider providing complimentary Wi-Fi since most hotels already do this anyway. Its suitable for business travellers. Studio and twin bedroom are spacious and also suitable for family with older children. Furnitures have too many sharp edges that may harm to the younger children. Location is convenient with walking distance free intercity tram services.. drivers are not advisable to park in the carpark as it is too small and cramp. But there are meter carpark right in front of the hotel. Watch out for time keeper officer. -. Tram stops aroud the corner -. Shopping strip minutes away (mostly international upmarket designers) -. Abundant choices of little alley eateries/bars -. No gym or swimming pool within the building (do you really need one when you're on a vacation?). The kitchen utensils are very useful to us as we tend to cook the meal ourselves. Washing machine and dryer also consider a plus for the apartment. The only concern is that you need to ask clearly whether the sofa bed is included in the amount paid. It is conveniently located within CBD. The apartment is spacious and clean. Staffs are helpful and friendly. My only wish is that the bedroom has aircon as the aircon in the living can't reach the bedroom very well.